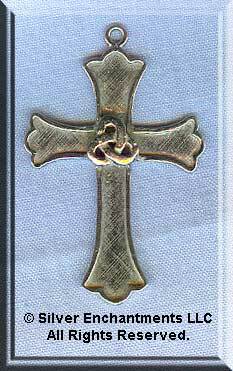 This gothic style sterling silver cross is adorned with a triquetra. Perfect charm for those who are christo-pagans and need a discrete way to display your faith. As the triquetra is also a trinity symbol, also a wonderful choice for those who are straight-laced Christian in faith. Cast in Solid Sterling Silver here in the USA, this Triquetra Cross is the perfect size for your favorite Necklace Chain. May be a bit large for use as a Bracelet Charm, but if you like larger charms on your bracelets you may enjoy this one. 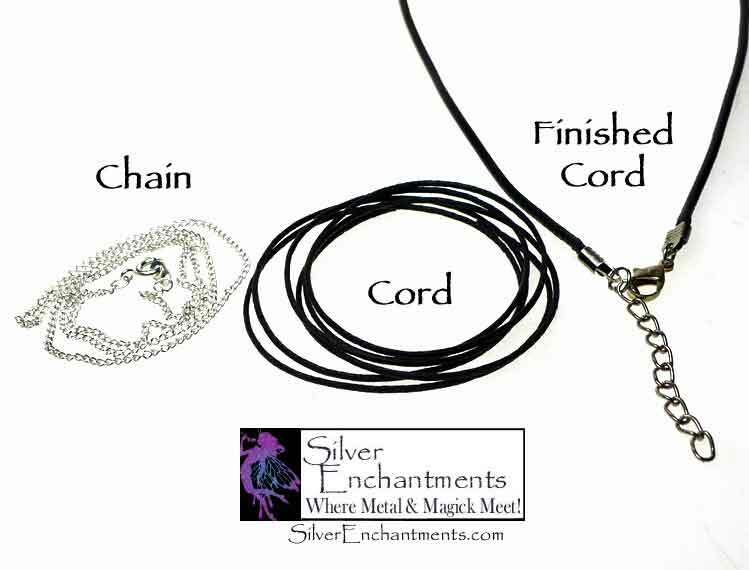 Overall Size (inches) : 1-3/8" x ~1"
Please note that charm measurements are approximate and do not include the length of any removable attachments. These will vary some, but a jump ring or split ring would add about 4mm (~1/8") onto the overall length.